Garry was appointed General Manager of The Club at ArrowCreek in March 2018. He is a seasoned veteran of private club management, and brings with him years of managerial experience with diverse clubs throughout the country. He has served in many leadership roles in his 30 years of tenure including General Manager, Regional Manager, Regional Vice President and Regional Food and Beverage Specialist along with various task force assignments. Garry and his wife Lori enjoy playing Golf and Pickleball. 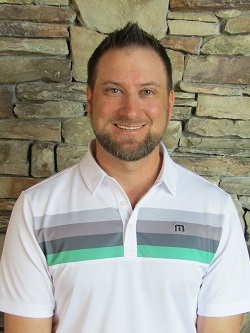 Josh is currently the Director of Golf at The Club at ArrowCreek and has 18 years of teaching and club fitting experience. He has worked with the beginning golfer all the way to web.com tour players. He is currently in PGA certification program. Josh’s playing background includes Division 1 College Golf, Mini-Tour experience and PGA section events. He was a top-five junior instructor in Colorado where he also coached a High School State Championship team. He worked with the Trevino Golf Institute (TGI) in Reno, NV with a focus in custom club fitting, club repair and Junior Golf development. Josh is also a staff player with TaylorMade, is on the TaylorMade National Fitters Council and is a TaylorMade Top 50 Fitters in the U.S. Originally from the Hoosier state, Jerry came west on a track & field scholarship to the University of Idaho. 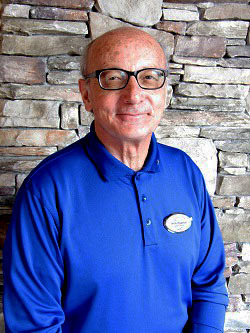 Jerry has been in the golf maintenance business for 39 years, and a Certified Golf Superintendent for 24 years. 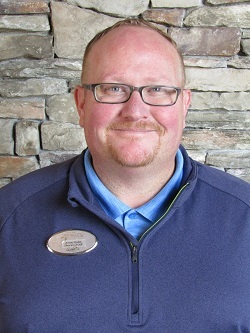 He worked at Sahalee Country Club in Redmond, WA, Olympia Country Club in Washington State, and for 19 years at Port Ludlow Golf Resort on the Olympic Peninsula in Washington. He and his wife Pam met in college and they have 3 wonderful children in the Bremerton, WA area and eight unbelievably perfect grandchildren. Jerry is going on 6 years here at the beautiful Club at ArrowCreek and truly happy to be part of the team. Maggie is going on 4 years as head golf course dog. Rob was born and raised in Newcastle, Australia, where his parents and three sisters still reside. 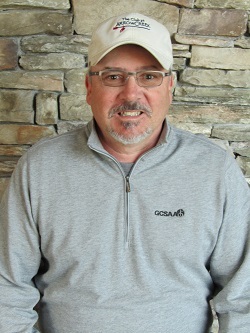 Rob has worked in the turfgrass industry for thirty years in Australia, England and the U.S. He lived in England for seven years where he played semi-professional cricket and worked at Slaley Hall Golf Resort & Spa, a thirty-six hole European PGA Tour venue in North East England. Rob is married to a native Nevadan. Their family includes five children and one granddaughter. In his spare time Rob loves spending time with his wife, golfing, fly fishing and taking in baseball games...Go A's!!! Born in Huntington Beach, CA Jeremy moved to Reno at a young age and attended Reno High and the University of Nevada. 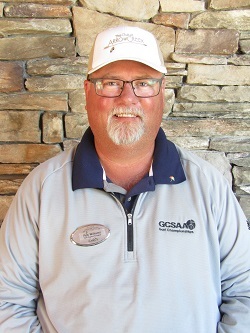 He began his career working in the golf business at Washoe Golf Course and then moved on to Hidden Valley Country Club and Wolf Run Golf Club, eventually ending up at The Club at ArrowCreek in 2001. Jeremy is married to Jennifer Budge who works as the Parks Director for Carson City and together they have three boys…Connor (13), Matthew (10) and Andrew (10). As a family they enjoy attending the boys’ sports events and visiting Nevada’s open spaces and parks. Karin is originally from Pleasanton California. She moved to Reno in September 2015 to come work at The Club at ArrowCreek as the Club Accountant. She is married with 2 children, Michaela (6) and Max (2). In her spare time she likes being with her family and she also loves to dance. She started dancing at the age of 3 and continued for 23 years throughout college. The rest of her family is still in California which Karin and her family go to visit often. She enjoys working here at the Club and loves getting to know the Members. 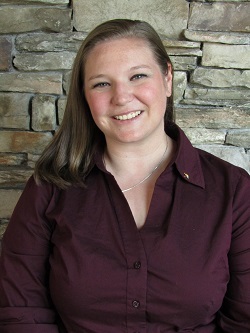 Cassie Pete is originally from Washington State, but moved to sunny northern NV twelve years ago after graduating from the University of Washington in Seattle as a Chick Evans Scholar. The Chick Evans Caddie Scholarship is the largest privately funded sports scholarship and is a full tuition and housing college scholarship for deserving golf caddies. 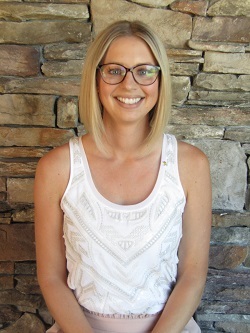 Cassie is grateful for the opportunity she was given and was able to pay it forward by assisting the State of Nevada with awarding their first resident with the same scholarship. Cassie has been in the events and golf industries most of her life and is the Director of Events and Tournament Sales at The Club. She really enjoys working with Members and non-members with the planning of their events. In her free time, she likes to spend time exploring the outdoors with her husband, Kody, and three ‘furry kid’ dogs, knitting and cheering on her home team, the Seattle Seahawks! 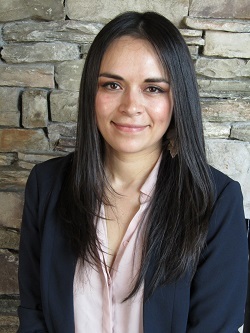 Monica Lara-Yanez has been with The Club at ArrowCreek for nine years. She was born and grew up in Aguascalientes, Mexico and attended UAA. Monica ensures that our Food & Beverage team operates smoothly and is in charge of all of our fun Member events! She is married to her husband Marcos and they have a beautiful 2 year old daughter named Maya. As the Club's Member Relations Director, Hayley is always out meeting Members and learning more about how she can help make their experience at the Club an exceptional one. Hayley is originally from the foggy city of San Francisco. As a high school student, she took up competetive sailing, competing across California's coast. 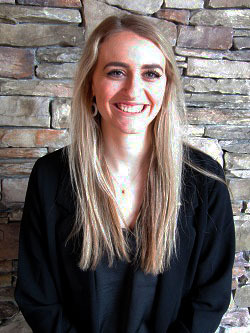 She moved to Reno to attend the University of Nevada, Reno where she majored in Communications and Journalism in 2017. Hayley has a passion for travel and learning about new cultures. During her third year at Nevada, she studied abroad in Alicante, Spain for a semester and spent her weekends chasing cheap flights around Europe until coming home and finishing her degree in 2017. Hayley he has used her skills to create many local social media programs and is responsible for advancing the community and customer experience through online marketing, as well as using her skills as Media Intern to catch our local soccer team, Reno 1868 FC, in action. 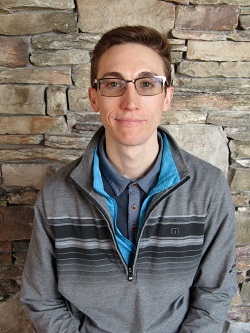 Henry has recently joined the growing Management team at The Club at ArrowCreek. He will assist and facilite dining room and private event operations with our Food and Beverage Team. Henry was born in Paris, France and received his Chef Apprentice at La Tourraine Restaurant in Paris. He has held several Management/Owner positions throughout his 40 year tenure in a variety of venues. 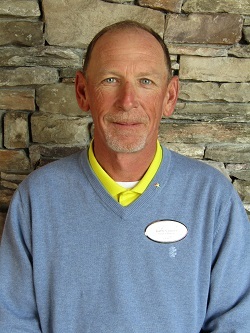 Most recently, Henry was the Food and Beverage Director at Picacho Hills Country Club in Las Cruces, New Mexico. 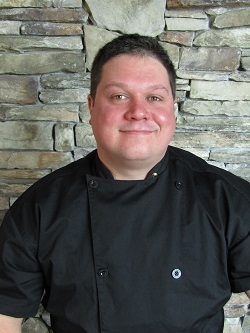 Prior to that he was the Chef/Owner at La Bistro in Colorado Springs, CO. In his spare time, Henry enjoys skiing, motorcycles and racing.